On January 7th Judge Connors of Davis County ordered Andy Esquivel held in Davis County Jail without bail until further notice. We’re still waiting for the audio transcripts of the hearing, but it must not have gone well. On January 7th the court was scheduled to review the results of Andy’s mandatory psychiatric evaluations to determine whether he was competent to stand trial. 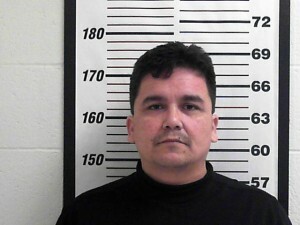 Immediately after that hearing Andy’s mug-shot appeared on the Davis County jail website with a booking time of 10:49am. The contents of Andy’s psychiatric evaluation are sealed so we don’t know what the psychiatrists found, but my hunch is that they determined Andy to be dangerous, mentally unstable, completely delusional, and incapable of telling the difference between fantasy and reality. It only remains to be seen whether the court will determine that Andy’s mental illness is serious enough to impede his ability to receive a fair trial. Andy has now been in jail for a week. Any news on how the court proceedings will move forward because of this latest incident? The old court date was cancelled. They’re holding Andy until they get him to submit to a psychiatric evaluation, which could take weeks. Once they know if he’s legally sane, they’ll hold another hearing and probably set a new trial date then (or recommend treatment at a local mental hospital until he is deemed sane enough to stand trial). Still waiting for that audio transcript – sorry for the delay. That’s okay. I’m sure it will be worth the wait. It is a huge bummer that the trial has been pushed back AGAIN. But Andy is in jail, and it’s very possible that he won’t be free again for a very long time, so he’s essentially getting what has been coming to him.